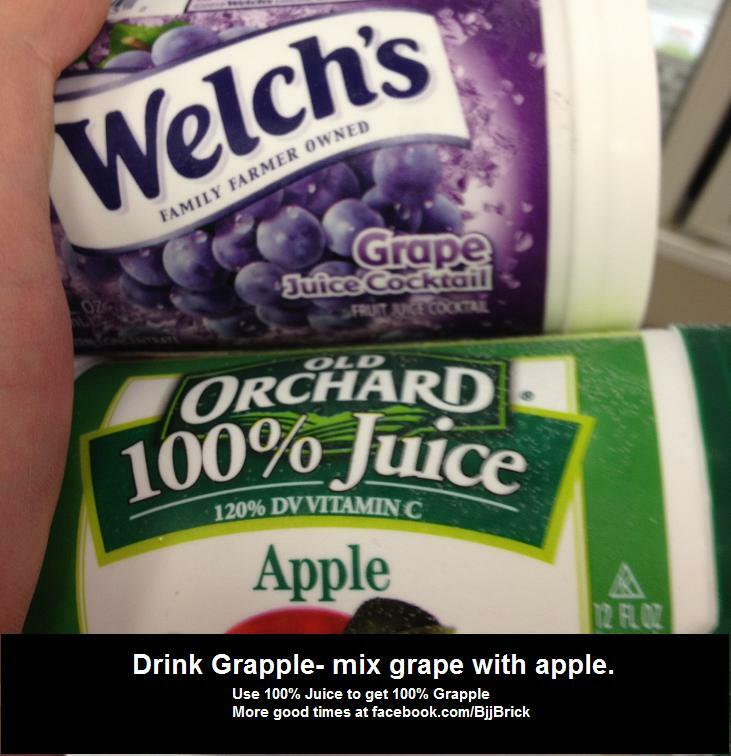 Mix 50/50 grape and apple juice, to make grapple. Grapple is also a great source of Vitamin C! Look at all these BJJ Jokes!! This entry was posted in Humor, Picture and tagged BJJ drink, BJJ food, Bjj Humor, food for jiu-jitsu, funny bjj, Grappling diet by byronjabara. Bookmark the permalink.